Barkur is a group of 3 villages (Hosala, Hanehalli, and Kachoor) in Udupi district of Karnataka (KA) on the banks of the Seeta River. It is the village I grew up in. I lived there from Class 4 to my Post-Graduation. That amounts to 15 years of my life. It is a village I ferociously hate now and never want to go back to – ever. 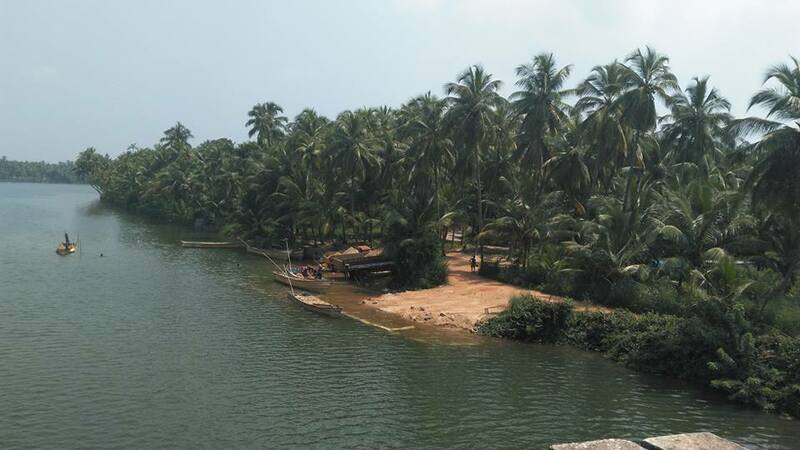 Historical records say it was once the capital of the Tulu kingdom that ruled coastal KA. In the 15th and 16th centuries, it was also a thriving port! The Alupa rulers made Barkur their capital. It was a province under the Vijayanagar Empire in 14th century A.D and an important administrative unit. It was a sub capital of the Hoysala kings. The city had 365 temples. The King visited a temple every day, and on the last day of the year, he visited the most important Panchalingeshwara Temple. There are also Bhutastanas (spirit worshipping centres). Evidences of Megalithic and Mesolithic ages have been discovered. Nearly 100 stone and copper plate inscriptions have been found here. As you enter Barkur the first thing you see is the Kallu chappara, or roof of stone. A nandi is seated in it. 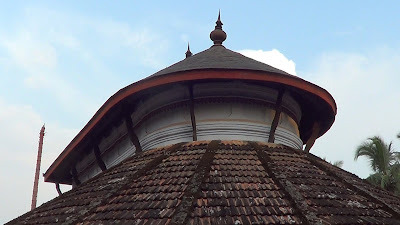 The Kalikamba Temple was built in the 14th century. Barkur is the holy place for Mogaveera community. The Kula Maha Sthree Amma Temple is visited by Mogaveeras from all over the world. The temples here do not have gopurams, found in the Dravidian style South Indian temples. The Chowlikere Ganapathy Temple was built 900 years back, during the Chola Period. 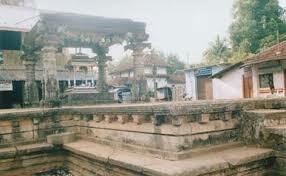 Barkur’s largest and oldest temple is the Panchalingeshwara Temple dedicated to Lord Shiva. Katthale Basadi consists Shiva, Vishnu and Jain deities proving the existence of changing kingdoms with different rulers controlling the city - politically and through religion. I should be proud of the village. But I am not. I have erased its memory from my mind. After my mother passed away in Oct 2003, I never went back to that village. For 12 long years I refused to set foot on its soil. The house without my mother was not my home anymore! 12 years of not turning back to the place that has a lot of childhood memories is something many cannot comprehend. It is a village of conservative, narrow-minded people, resentful of other’s success, actively gloating and sneering when someone fails in their educational or employment pursuits, not helping others even when one has the power to do so. It is still a highly caste conscious town where the first look is to ascertain which caste you belong to from the way you dress, speak or the jewellery you wear. Or on good days, brace yourself for direct questions like what is your father’s (full) name which will give away your caste. This then decides how much importance they give you, what type of utensils they use to serve you tea or even think it worthy of serving you at all. It is a place where I have witnessed all kinds of discrimination – rich against poor, high caste against low caste, educated against illiterate, the haves against the have-nots. I briefly went there last year, exactly around this time (Oct 2015). I was astonished to see that the village hasn’t progressed or modernised at all. Except for few shops here and there that have renovated themselves, the whole village is caught in a time warp. Many have settled in Middle Eastern countries or in big cities like Bombay and Bangalore earning handsomely, yet the money has not been pumped back into the village. 12 years later I go there and the questions I get asked are how much gold I’ve made in all these years, is the house I live in, in Bangalore our own or rented! How do I explain to them that, materially I’ve not accumulated much but life experiences and exposure-wise, I am a treasure house? Do I even make the effort? I don’t. I’ve no energy left. None of them matter to me. I don’t really care for what they think. I have bid adieu to the place. And in my choice, I have found peace. Its physical and geographical illustration through your words,I liked.But my wonder is that in the 21st century when none care about the gold adornment the villagers have not waken up to the present. In Kearala, of course in marriages the brides will be mobile jewelleries. After that they become locked up in banks. Half only got posted.So I deleted.Some problem with m system.In another post also same thing happened. Wow! A very nice breezy style of writing with some sound values of life. Kudos and best wishes to you! Wow..that's quite some historic place, isn't it? Interesting and also intriguing.. But I can totally understand your indifference. Some places don't change. It's not the places but the people. In some places people are direct with their intentions, in others they are indirect. I can't say if sweet words meant to deceive others are better than directly belittling them. Looking at the title, I thought you are writing about a place called Bargur in Krishnagiri District in Tamil Nadu. Having lived my entire adult life in USA, while reading your post, I felt I was reading a movie script. Cannot believe these things are for real even in today's world. I sympathize with you. Reading first line , I felt so envious and then curious to know why you dislike this village. This is the mindset in some towns also, even in Delhi one is respected for one.s wealth not for character or education. I was cursing you in the first half of the post for loathing a place where you spend considerable time of your growing up years and sheer nostalgia should be a stimulator to visit as and when we can! And then eality struck me so hard on my face and if I were in your place I would have despised this village from the bottom of my heart! Some towns and villages are indeed warped in time and it is the people who make it to remain static! A poignant post that makes nostalgia to hurt and OUCH! I totally understand what you are saying, I get to listen to these questions often when i visit my village .. I think it also depends on people living if they want to go forward. sad state of village and its same situation in many Indian villages. Emotionally you are very much attached to this place. Nice to read. You mentioned the historical facts as well. Great. Thank you Shukoor :) Google always helps ! Well haven't forgotten the Kori Rotti and Chicken curry you have served us when our friends group visited your home.